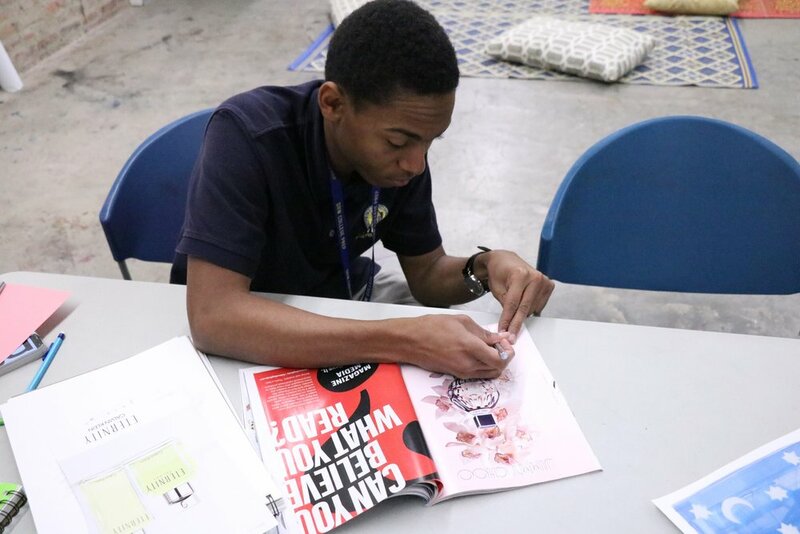 In our first teen-specific course at SAIC at Homan Square in Chicago's North Lawndale neighborhood, we collectively explore artistic healing practices. What do we need? What does our community need? How can we use artmaking to heal from experiences that have hurt us in our daily lives? In Beauty Breaks: Community Builds we will experiment with many different materials from writing, mixed media, sound, and photography, while exploring aspects of personal identity. We will discuss what wellness means for you and those around you while devising original projects that respond to community needs. In this course, teens will work alongside teaching artists to explore the ways artistic practice can aid in our collective fight for liberation.